Businesses that use vans could find themselves falling foul of new emissions regulations that are set to come into effect in London next year. Cox Automotive said at an event co-hosted by the British Vehicle Rental and Leasing Association (BVRLA) and Transport for London (TfL) that it has found more than 80 per cent of vans on the road today will not be compliant with the rules of the London Ultra Low Emission Zone (ULEZ). This could have a serious impact on company owners, who may find themselves having to pay significant fines if their drivers are regularly using older, less efficient vans on roads covered by the ULEZ. The ULEZ will come into effect in central London on April 8th 2019 and is part of a drive to improve air quality. 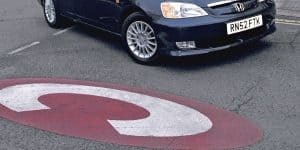 Described as the most radical ever crackdown on vehicle emissions, it will initially apply to older petrol and diesel vehicles in the London congestion charge zone. However, unlike the C-Charge, it will apply 24 hours a day, seven days a week. There has already been much criticism of the scheme, with those opposed pointing out that not everyone is even aware of the initiative, let alone has the resources to replace older vehicles at short notice in order to adhere to the low-emission regulations. TfL’s James Ingram acknowledged that a key challenge will be businesses upgrading their fleet in time. “That is why we have joined forces with the BVRLA to give smaller businesses as much support as we can to be ready, not just for the introduction of ULEZ, but for the long-term future as London moves towards becoming a zero-carbon city by 2050,” he added. Surface transport is responsible for around a quarter of the UK’s carbon dioxide emissions and the EU has agreements with motor manufacturers in place that aim to reduce this pollution from new vehicles. Many now have colour-coded labels to display how much CO2 they emit per kilometre to help buyers choose more environmentally-friendly models.